Ballywillan Drama Group bring the world抯 biggest musical to the Riverside Theatre. 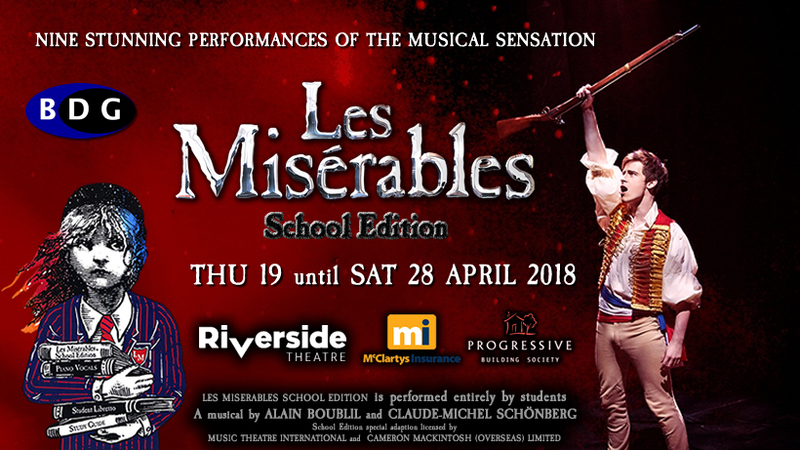 For nine astounding and powerful performances next April the Riverside Theatre will be transformed into the cities and streets of 19th century France as LES MISERABLES comes to town. Seen by more than 70 million people in 44 countries and in 22 languages around the globe the musical is now in its 32nd year in London抯 West End. LES MISERABLES tells the enthralling story of broken dreams and unrequited love, passion, sacrifice and redemption � a timeless testament to the survival of the human spirit. The musical will feature a huge sprawling set, including the famous barricades, a superb orchestra, original costumes being designed by one of the UK抯 top designers and first rate production values. 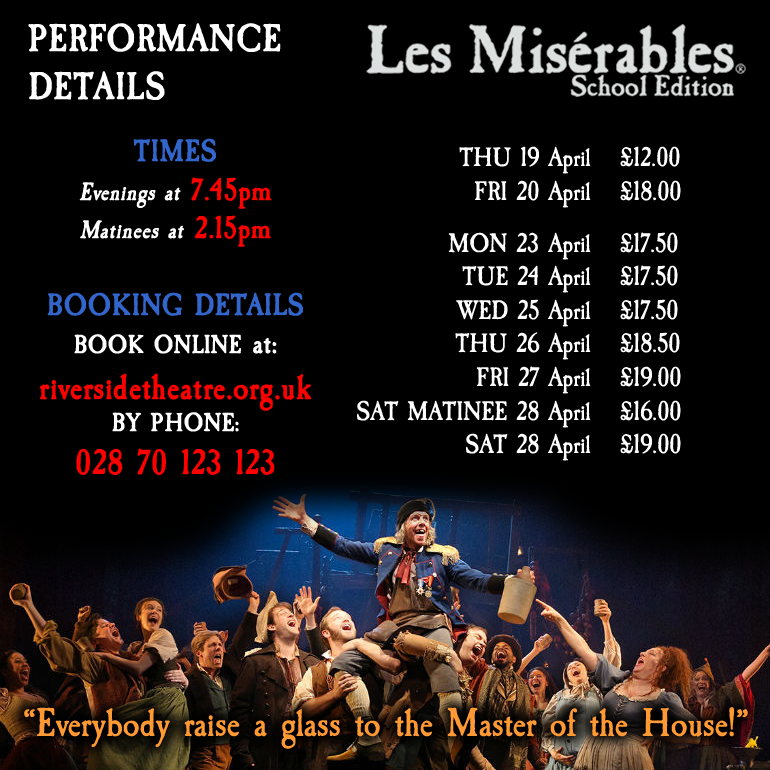 Brought to you by the same production team that oversaw CATS, ANNIE and MY FAIR LADY in the Riverside, this global stage sensation will feature the rising stars of musical theatre in Northern Ireland as a cast of 18 years and under take to the stage to bring LES MISERABLES School Edition to your doorstep! This will be one of the Riverside Theatre抯 highlights of 2018 and early booking is to be recommended.